Rescuers had to contend with an abusive drunk casualty who was found near England’s third-highest mountain in a five-hour night-time operation. 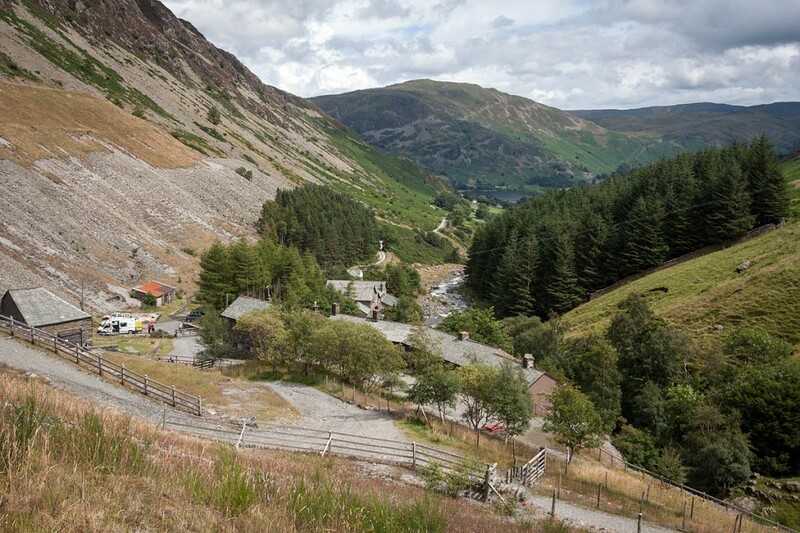 The 32-year-old man from north-east England was reported missing in the Greenside Mines area on the slopes of Helvellyn at the weekend. Patterdale Mountain Rescue Team was called out at 3am on Saturday to search for the man, who had reportedly drunk a large quantity of alcohol and had not been seen by his friends for two hours. Team leader Mike Blakey said: “The area is notoriously complex with several hazards, including old mine workings and fast-flowing deep water. “We immediately sent a search dog to the area while the rest of the team were mobilising. Given the information available we also called for the assistance of five other mountain rescue search dogs, Penrith MRT, and Keswick MRT to provide a group of swiftwater technicians to help us to search the gorge and river. “At around 5am the team’s search dog Corrie and handler Andy located the missing male who had fallen down a wall about 10ft high and then somehow fallen another 8 to 10 ft into the old waterwheel housing. “When the handler got to him he was sleeping off the alcohol having sustained suspected spinal injuries in his fall. Given the large volume of alcohol he said he had consumed it was difficult for the team to fully assess the extent of his injuries. “The remaining team members went to the man’s aid and undertook a complex rescue to evacuate him, firstly from the waterwheel housing and then up a grassy slope. He was then lifted, horizontally, on the stretcher up the 10ft high wall. “This callout came in the middle of the night, disturbing the sleep of the team members who are all volunteers and give their time freely. Indeed, many members were about to spend the day at the Lowther Show to help raise funds for the team. The search and subsequent rescue lasted five hours and involved two mountain rescue teams and six Lake District Mountain Rescue Search Dogs, the police, ambulance service and Coastguard helicopter crew. The Patterdale MRT team leader said: “The man was released from hospital the next day with some minor spinal injuries and I expect a pretty serious hangover. I hope the drunken yob is named and shamed and then is made to make a donation to the rescue services. I bet he doesn't drink Carling Black Label ! I hope they were'nt to gentle with him! Ungrateful git. He should have been left there to sober up and get out by himself .or not !!! Idiot .!!! More reason to say that alcohol should be better controlled, but little chance of that. The fool should be sent some of the bill at least and charged with endangering the lives of others. Send him a bill. Same applies to all those idiot drunks that abuse staff in A&E all over the country. "Our casualty from last Saturday morning just called to express his sincere thanks for everything the team did for him last weekend. He's on the mend now and will be getting some rehab through work. We wish him a very speedy recovery." I wonder if he apologised for his disgusting behaviour? Selfish, if with or without medical problem. The volunteers and paid teams showed their superiority in treating the abusive member of the public with their expertise. Not that they needed the training exercise! I would agree, he should be taken to court for endangering others life! And shown what costs he theoretically caused beside the danger to search dogs and staff and equipment. Hopefully such stupidity is in the minority! The volunteers deserve more to be on Queens honours list than politicians, Mr Green or olympic medal winners!